The recent release of Super Mario Run on iOS has triggered quite a debate regarding how much people expect to pay for handheld video games. While the title is free to download, unlocking the entire game requires the kind of investment that mobile players perhaps aren't used to paying, and that has led to a rather poor conversion rate. 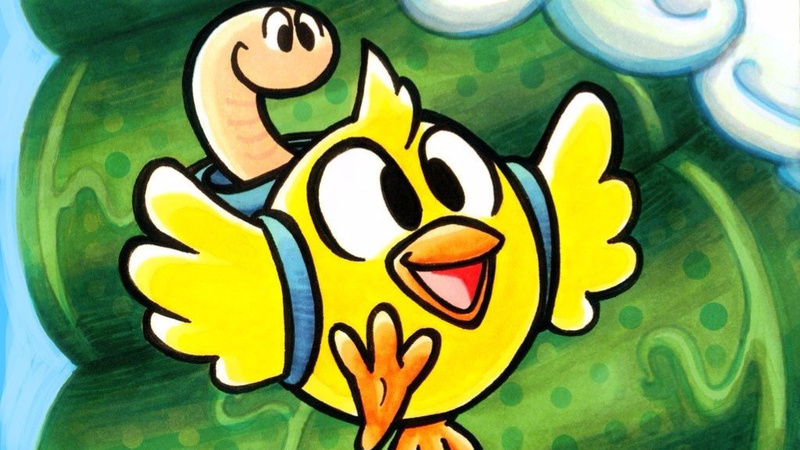 Regardless of your opinion on this matter, 3DS gamers appear to be more level-headed when it comes to paying a premium for quality, and Jools Watsham has now confirmed that his forthcoming game Chicken Wiggle will cost $10 when it launches on Nintendo's handheld. On a related subject, Watsham has begun a series of video blogs in which he talks about his current projects and the games he's playing right now. Part one is below, and is well worth a watch. 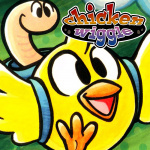 Let us know if you'll be happy to hand over $10 for Chicken Wiggle when it eventually reaches the eShop by posting a comment below. Day 1 purchase for me. Online level sharing with both 3DS and smartphone users is a huge plus. depends on content but at that price I would say that's ok as long as it has a decent amount of play. On mobile it really has to be free with Ads and IAPs or a dollar-ish at most, imo, as that's really the only way most people will even give it a fighting chance—and even then it's usually only if you're extremely lucky. Unless you're the likes of Mojang, or Nintendo, or Rovio, or you're making a Pokemon Go game in collaboration with a Google/Nintendo/The-Pokemon-Company funded company . . . and have all the cards stacked in your favour, which you're not and obviously don't. What I would like to see, however, is more of the actual game—proper gameplay and boss battles and stuff—before I make any real decisions on what it is or isn't worth or whatever. PS. If you actually listen to those people voting on your Twitter then you are mad. Trust me; they are not doing right by you voting like that—you're game will almost certainly flop HARD at the $10 price range they are picking. You have to know when to listen to the random voices/opinions floating around the web and when to really just ignore them, because 99% of the time the "web" doesn't know jack about jack when it comes to stuff that actually matters. I don't ultimately know what the secret to making a massively successful videogame is, other than creating something genuinely seminal and exposing it to as many people are possible (I believe, without doubt, that approach will see you right 99.99% of the time), but I do know it's not found in charts, stats, polls, ticking boxes, playing the angles, and the like—and certainly not if part of that "success" is intended to be felt in your heart instead of just some kind of pride at "winning" the game of business or whatever. Ultimately, make something truly magical (you know when you're making magic and when you're just "doing enough"), find your audience somehow (however that is done; and that part is beyond me right now--although a seminal game will surely do part of that work for you just as a matter of default), and I believe the rest will inevitably work itself out. But, how many of us can (as in actually understand how to and what it takes) and are in such a position to make a truly seminal game. . . .
5 is my sweet spot so I'll wait for a sale. My backlog will still take me a few years anyway. Any word on what the other old Renegade kid people are doing? I wanted to get Dementium 2 but I guess they dropped production on it? Sigh. @impurekind I couldn't agree more, with all of your points. I'm guessing the 47% who voted 'same as 3DS' in the poll are all 3DS owners anyway, so the results are kind of pointless. If Mario won't sell for $10 this game has no chance. Very nice! Looking forward to it. Super Mario Run has made 3 millions in 2 weeks. That's a big number. The percentage of people who paid compared to those who downloaded it's similar to that of any other mobile game. Even free-to-play. @Billsama exactly. it's so dumb people are thinking this game was a flop when actually it was a success. they basically sold 3 million copies of the game already, that's great. Well, the "budget price" part of my criteria for purchasing the game is gone. Online sharing is going to be this game's saving grace, given its competition on 3DS is none other than Super Mario Maker itself. Not bad; I'll make a final decision when it's out, but it won't be price scaring me off now. @Billsama Also consider that it is the ten top-grossing games. @AlexSora89 This game has online sharing, yeah? In that regard, SMM doesn't compete. I was assuming. With Maker around, the only way an indie could compete would be online level sharing. Otherwise this little gem can't possibly stand out. @Rogue76 I woke up to find your comment in my inbox and it made me smile. I'm going to ask Jools if I can design a level for inclusion in the main game. @AlexSora89 @onex Yeah, it has online sharing, that has been mentioned elsewhere. Levels can be shared between 3DS and iOS, too. Neato! This automatically makes the game an actually viable alternative to Super Mario Maker again, at least as far as sharing alone is concerned.